Angela: Have you seen Panoram’s cartellate recipe? Living Toronto (LT): No, why? Angela: They put an egg in the cartellate recipe. Can you believe it? An egg! LT: What? Are they crazy? Angela: Who puts an egg in the cartellate recipe? They’re made with white wine. LT: Yuk, eggs and white wine in cartellate cookies. Angela: Today, I had to go see my mother and tell her. It’s not right. I have to do something about this. Living Toronto stepped up to the plate and offered Angela a chance to right a wrong. Here’s her story. A few days ago I was at my sister’s home for our yearly traditional cartellate baking. My family is from Bari – this is a beautiful city in the region of Puglia on Italy’s Adriatic Coast. 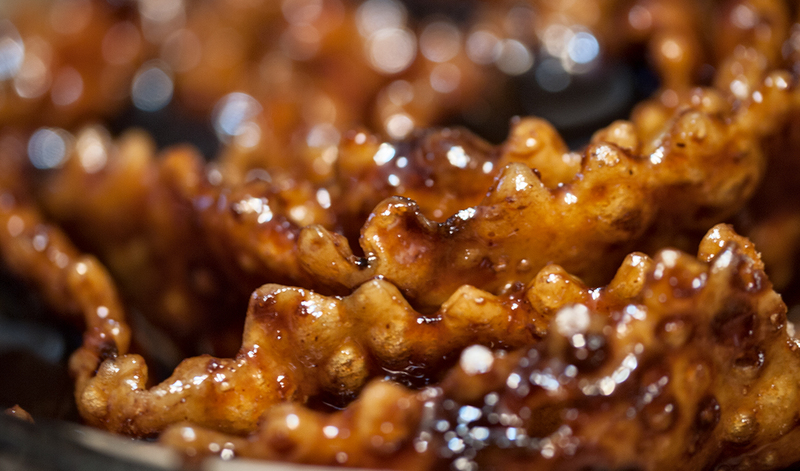 Cartellate are a very traditional cookie that we make only at Christmas. My sister and I made the cartellate under the expert hands of our mom for years and have always followed her recipe. While we were mixing the dough my sister mentioned that the latest issue of Panoram had an article on cartellate and she also mentioned that she heard the recipe included eggs. We were shocked! I couldn’t believe it. All the years we have been making cartellate we never, ever put eggs in the recipe. I needed to verify this information ASAP. On Saturday I made a trip to Centro on St. Clair West to pick up a copy of Panoram and check this recipe for myself. Indeed one of the ingredients is one large egg. I know what many of you are thinking – eggs in cookie recipes are normal. But cartellate are not your normal cookies because they are made with white wine, and a lot of it, so eggs with white wine is not a good mix as far we know from our mom – and our mom was the best cartellate maker in our town. Here is a picture of our mom’s cartellate with no eggs. Here is the recipe, with no eggs. Make a pool in the centre of the flour. Sprinkle the cinnamon. Pour wine and oil in the centre of the flour. Pour a little at a time and start gathering dough until the dough becomes wet and soft. Knead the dough until it feels like (my mom would say) silk. Let stand for 10 minutes (this step can be done in a food processor). Cut dough in in 4 pieces and roll out each with a rolling pin or a pasta machine. Cut 1-inch wide strips and start pinching every inch or so to form little pockets and form into round shapes. The cartellate can be baked or fried in canola oil. 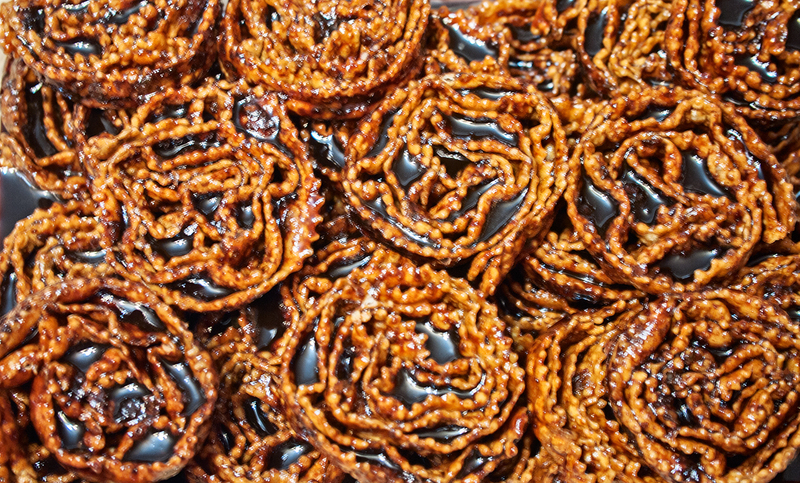 The last step – dip each cartellate in fig syrup which can be purchased in specialty shops. This article can be found in STAYING IN, in the section What We’re Making. This made me laugh. Thanks. Now I’m going to make some very untraditional gluten-free Savoiardi for Tiramisu, which is another upstart recipe in itself.